The highly educational presentations of the AMAYE Summer Conference have been captured on DVD and are available as a set of seven DVDs. A must for all Yoga Teachers. 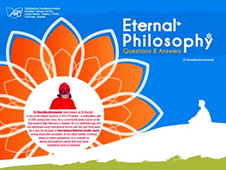 In this small booklet, Dr. Shambhushivananda shares a modern perspective, in a nutshell, on eternal philosophical queries that have faced humankind since its inception.